Sally Baker and Liz Hogon, the authors of 7 Simple Steps to Stop Emotional Eating have released another brilliant book on the topic of emotional eating; How to Feel Differently About Food. Baker and Hogon draw on their many years of experience as therapists, working with hundreds of clients who struggle with their relationship with food (their first book focuses on addressing comfort eating). They advocate for ditching diets and self-deprivation because of the negative effect on mental health, self esteem and physical health. Instead they encourage us to 'nudge' towards healthier habits. Eat real food - food that our grandmothers would recognise as food. While much of this may sound common sense, many of us aren't putting it into practise because we just don't know where to begin. In this book you'll find practical steps to take or 'nudges' in order to improve your health, and if need be, lose weight, without resorting to crash diets. I particularly like their suggestion to improve just one meal a day at a time, instead of trying to blanket ban all processed junk food. How to feel differently about food also provides commentary on the state of the food industry and the negative health impacts caused by the standard UK and American diets. There's very much an echo of the paleo diet throughout this book, although it does claim to not be a diet book. It isn't one in the sense of prescribing a strict meal and fitness plan, but it does go through a 'Snog, Marry & Avoid' list of foods. This list, while very informative, can be a little contradictory in places. Nuts for example, fall under all three lists (it would make sense to just keep them on the moderate list) and both alcohol and caffeine appear on the moderate/snog list when these could easily be avoided without causing any kind of nutritional deficiency. Personally, I like to ditch the concept of 'bad foods' and 'good foods' all together and just stick to appropriate portion control. Besides, we all have foods that are triggers for ourselves but fine for other people - caffeine for example, triggers my migraines so I avoid it, but others find it really useful for energising them before a workout. Similarly, some people can't tolerate dairy or wheat based products and find they get stomach upsets, yet I don't have a problem with either. We're all different and that's precisely why there can't ever be strict rules or even blanket recommendations. I've taken some key messages away from this book to apply to my own health and diet. For example, I know I have a sweet tooth and I don't want to deprive myself of dessert, so I find it a much more appealing idea to swap my chocolate for the darker varieties (though I have to limit the amount I eat, because of my caffeine sensitivity!). Speaking of 'sweet tooth', there's a very comprehensive list in the book, of the different names for sugars, which is very handy for when you're reading misleading labels in supermarkets! I also love the suggestion in this book of making a flan case using ground almonds and coconut oil. I'm also doing my best to budget for organic, free range, grass fed red meat, diary & eggs and looking to substitute Lamb in some of my beef recipes as sheep can't be raised on concrete and so will most certainly be grass fed! The other simple swap I'm doing, is ditching my sunflower oil spray for olive oil as it's more stable to cook with.I know coconut oil would be the ultimate swap, but personally I find it leaves a bit of a funny taste in some savoury dishes, and prefer to use it when making desserts instead. Overall, it's been really refreshing to read a health book in January that doesn't require some kind of drastic juice cleanse and "cut out all of the things you enjoy!" philosophy. I'm a big fan of small gradual changes adding up to a huge overhaul in the long term! 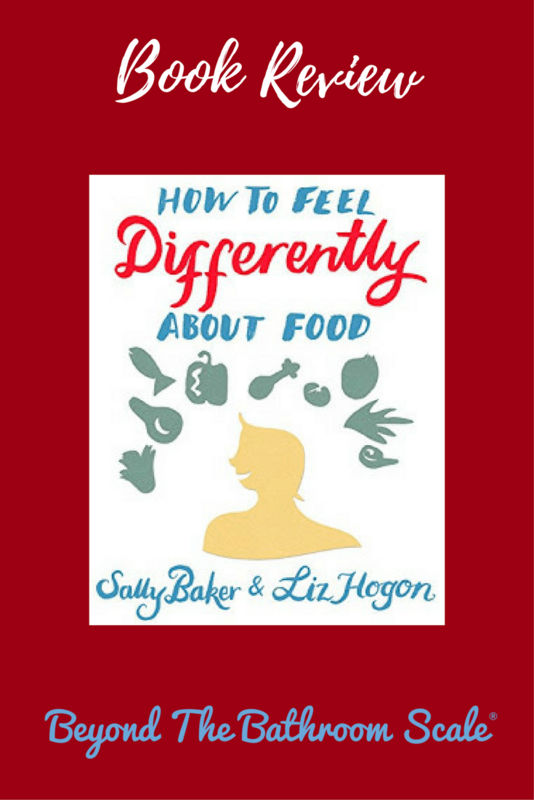 How to Feel Differently About Food, by Sally Baker and Liz Hogon is out now, published by Hammersmith Health Books. You can buy it in paperback format for £12.99 or eBook for £5.99 on Amazon.